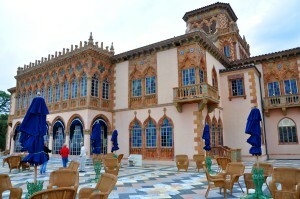 The Ringling Museum, besides being home to a prestigious design school, was also the home of John and Mabel Ringling, of the Ringling circus. 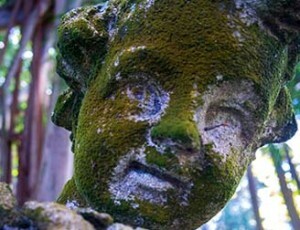 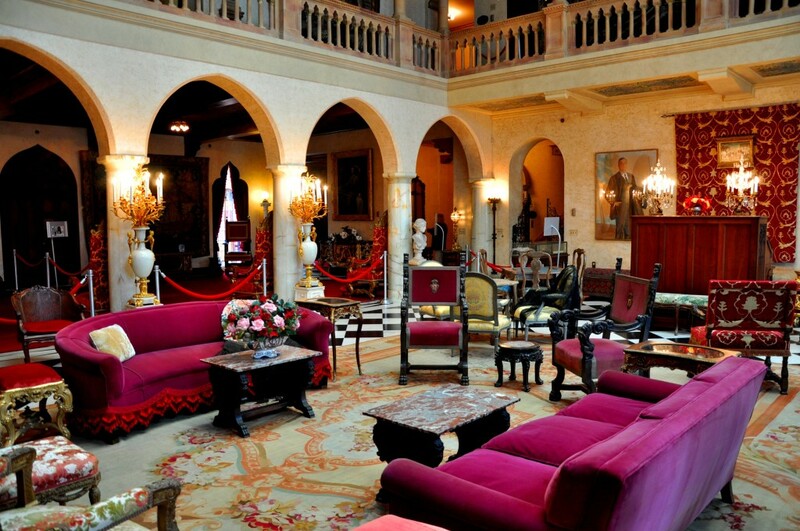 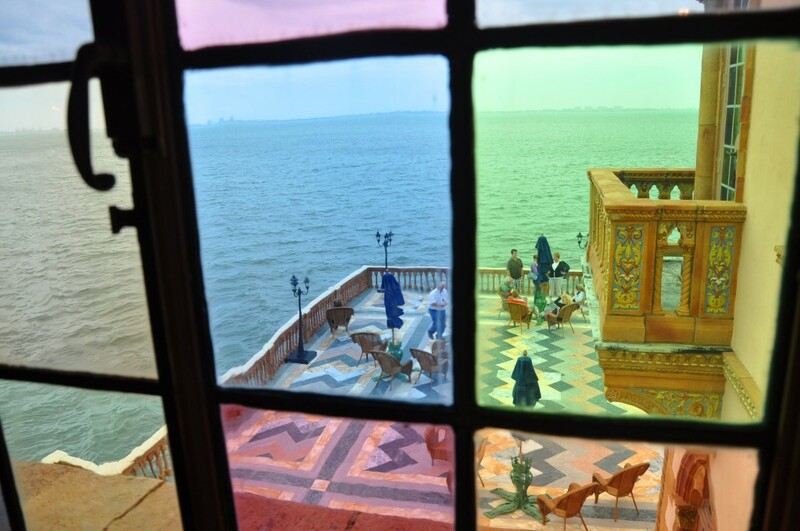 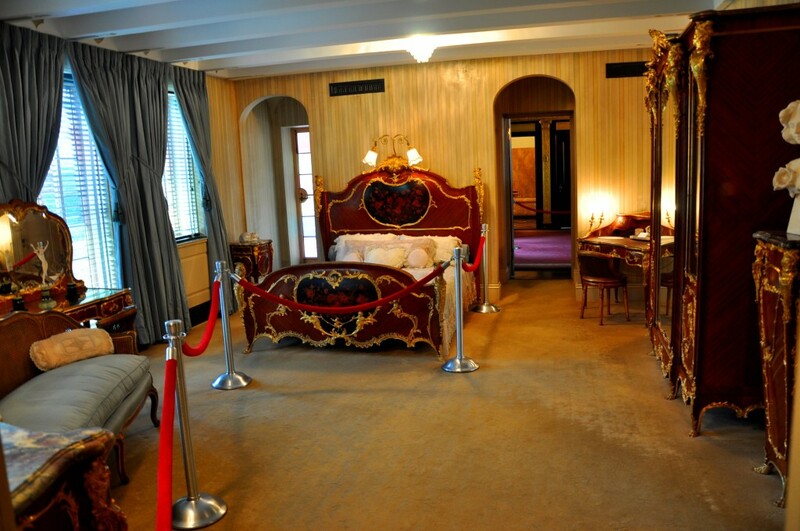 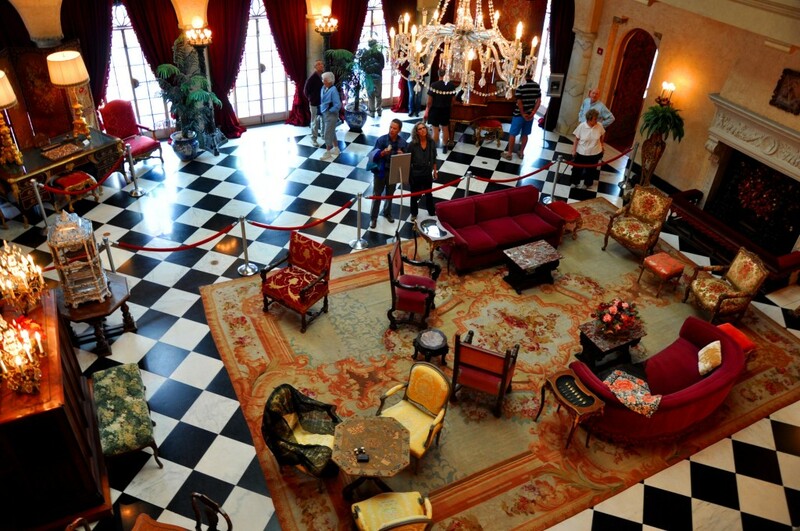 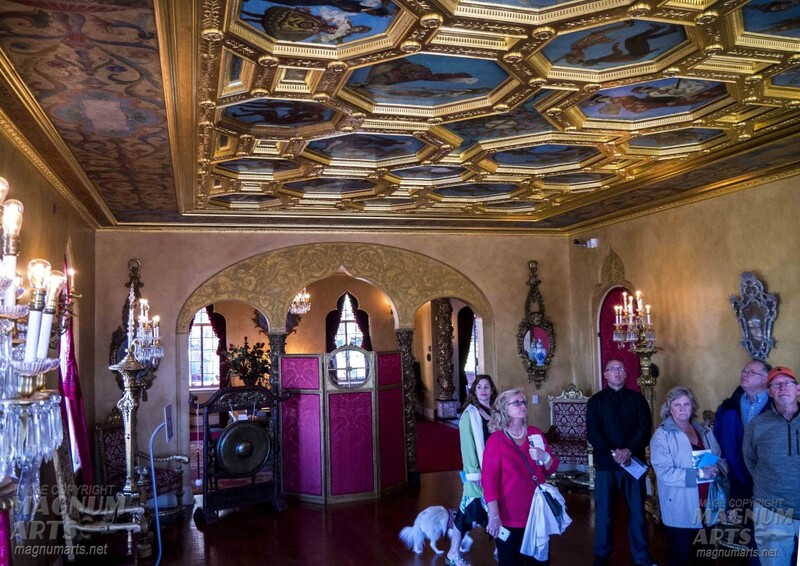 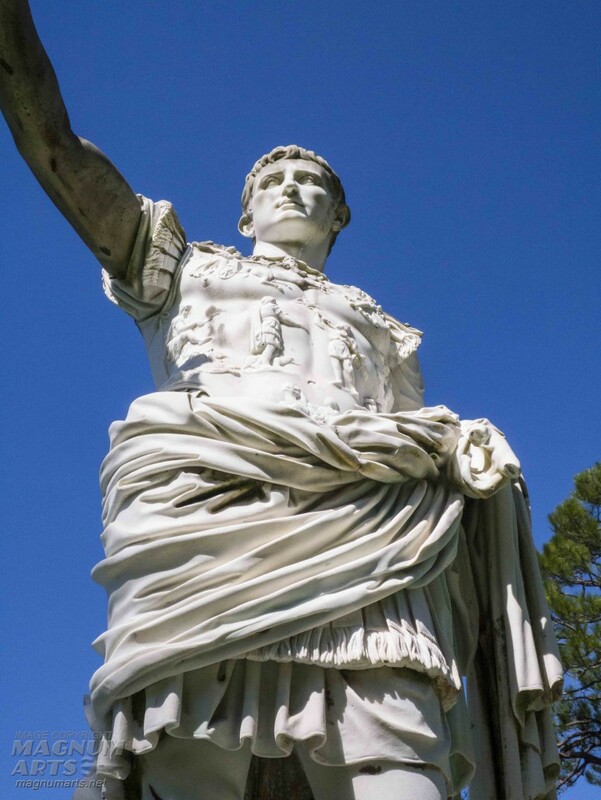 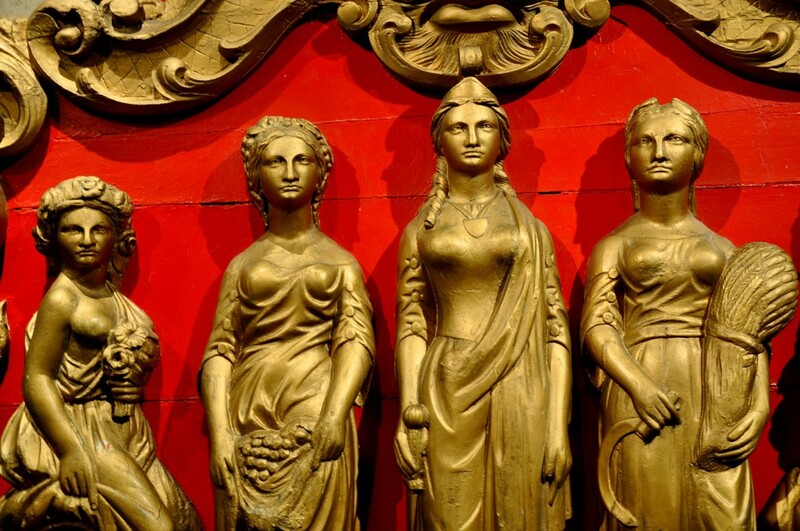 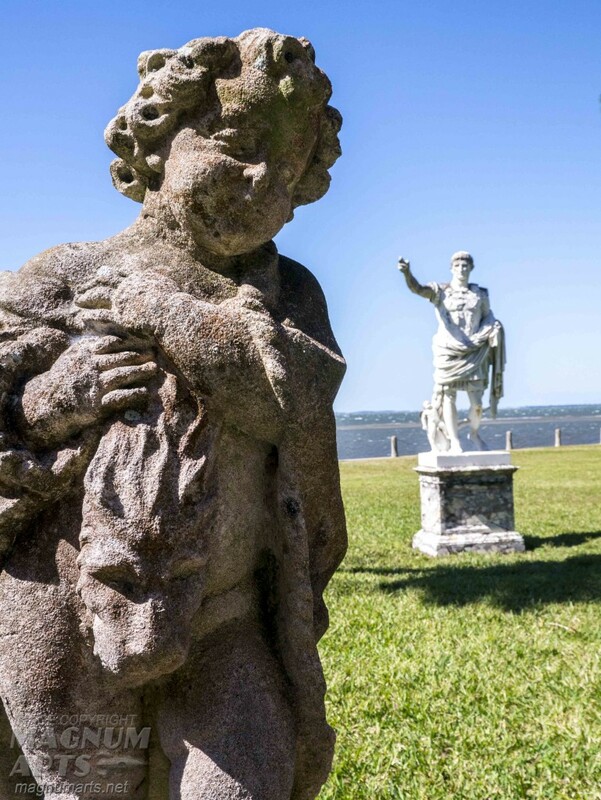 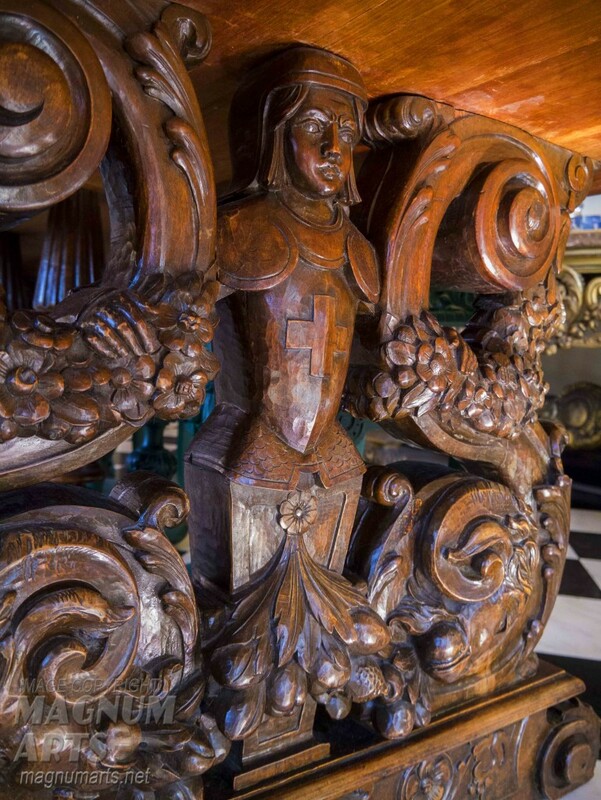 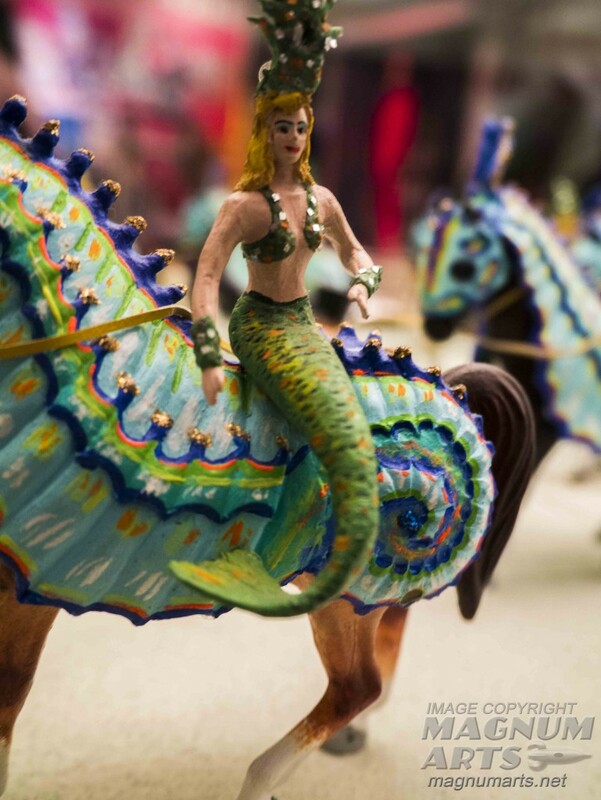 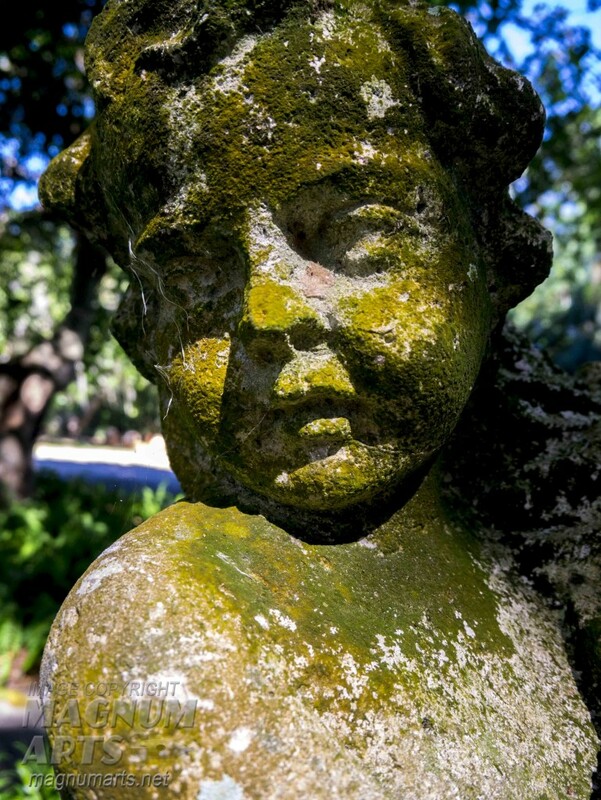 The estate is home to the fabulous Ringling mansion, inspired by Venetian architecture, which sits on the water, as well as huge galleries filled with priceless works of art and one of the largest dioramas in the state of Florida. 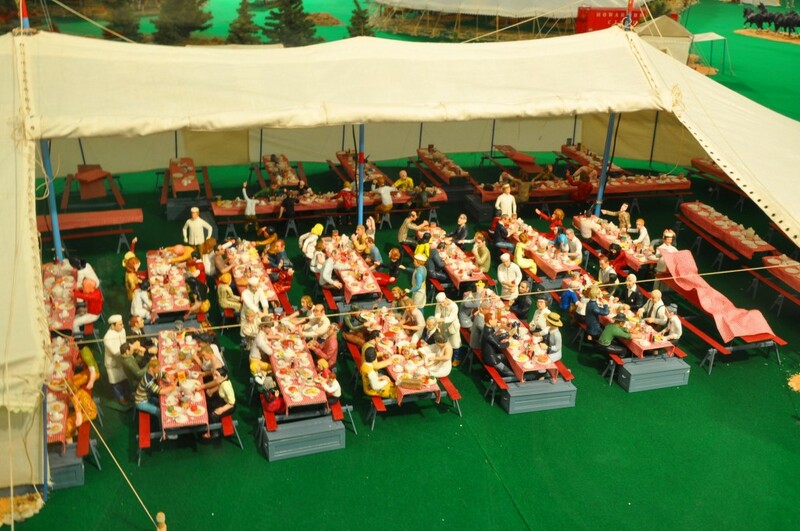 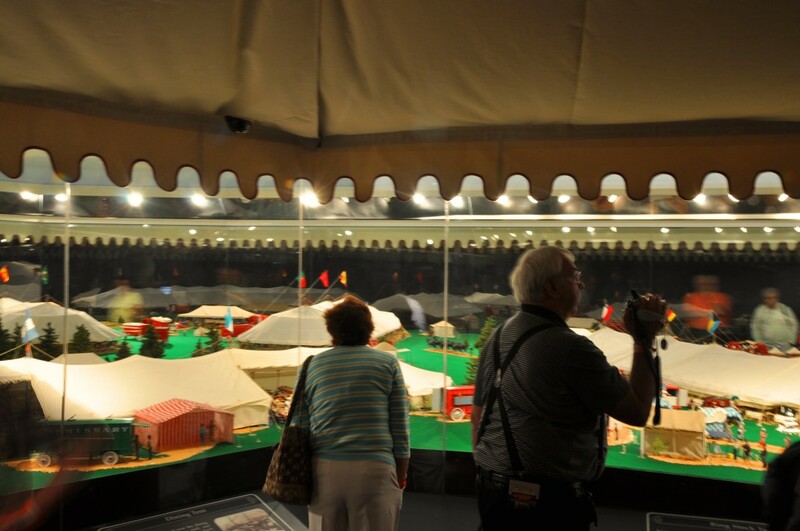 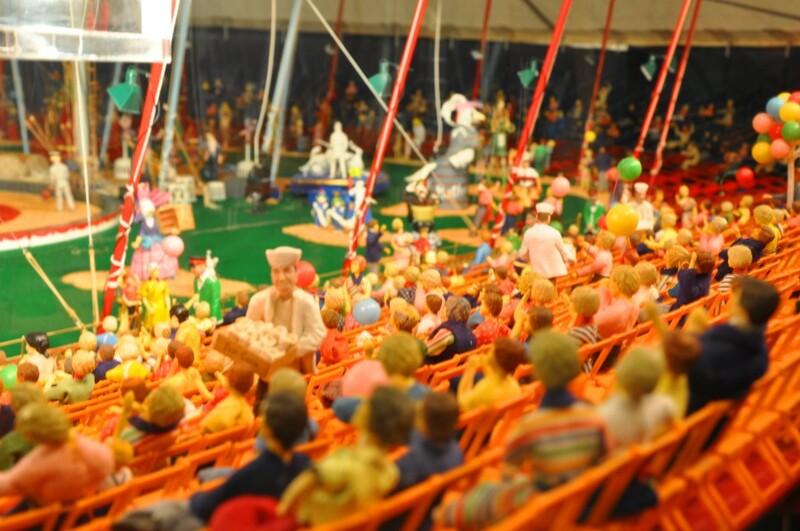 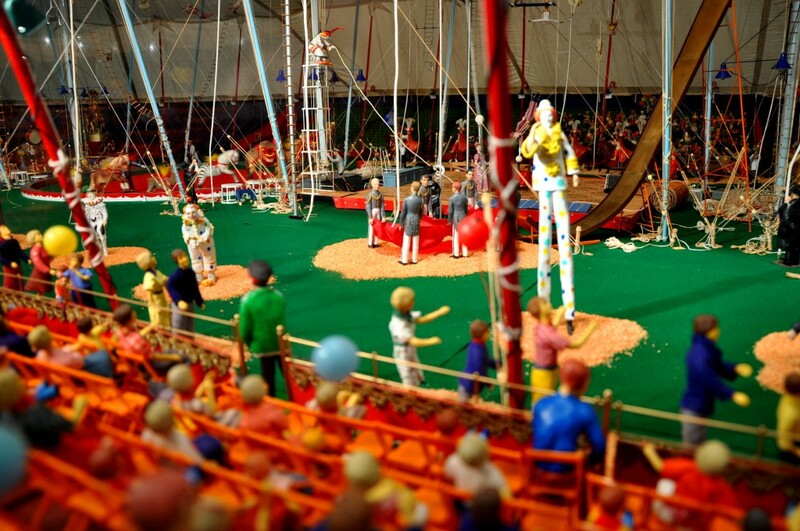 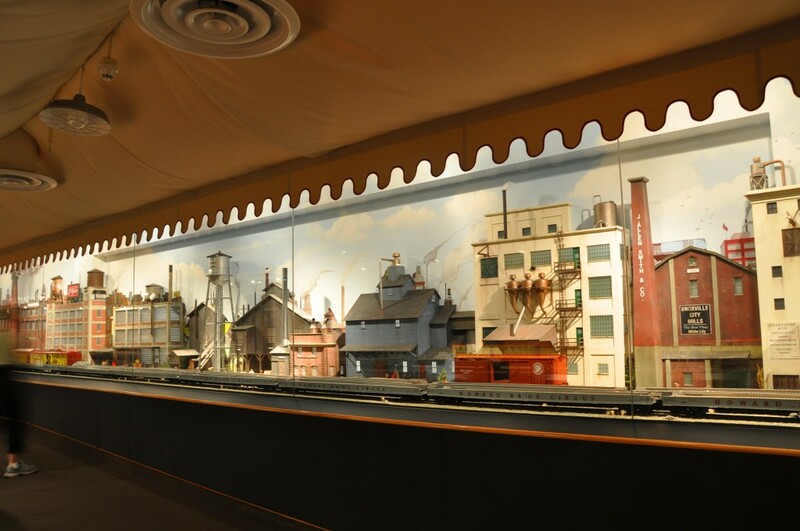 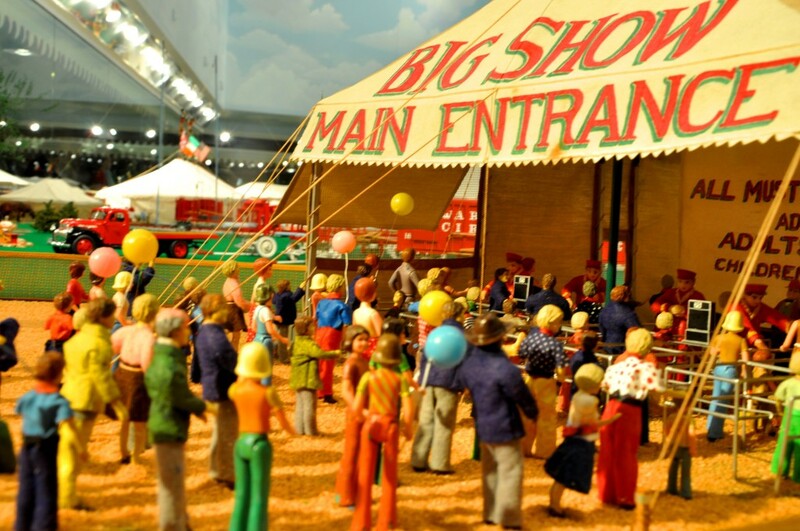 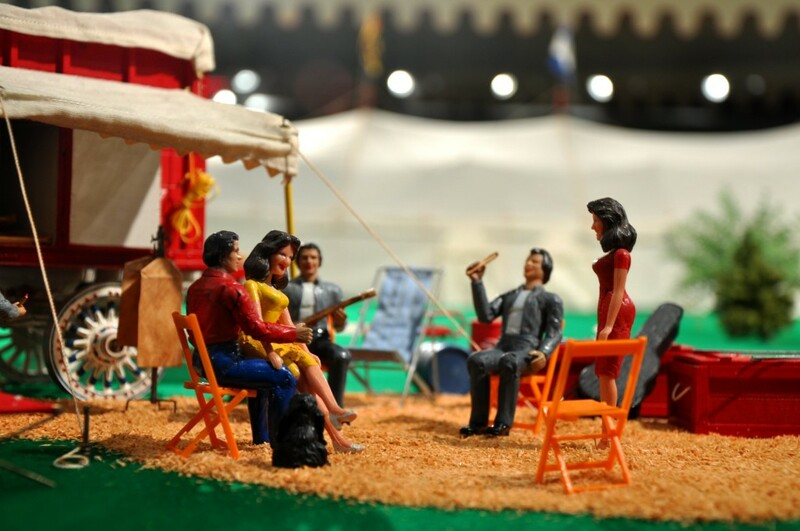 Below: One of the largest dioramas in the state of Florida depict a small turn of the century town being visited by an enormous circus. 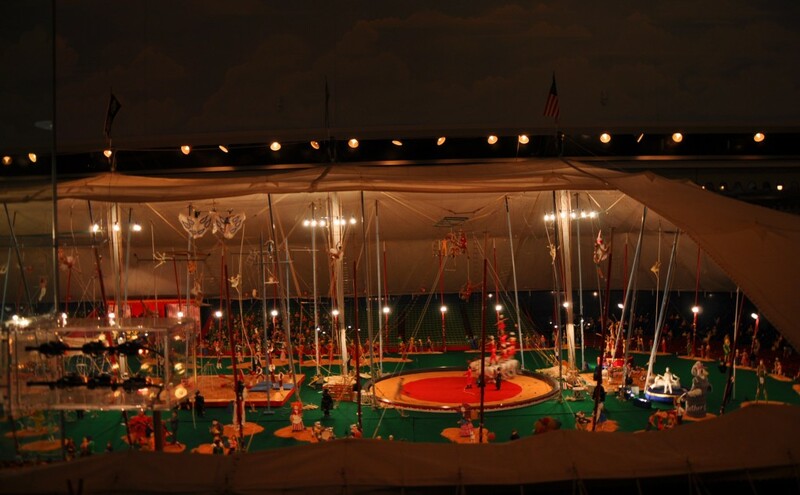 Visitors walk around the scene, lights dim then come back up again, and circus sound effects play. 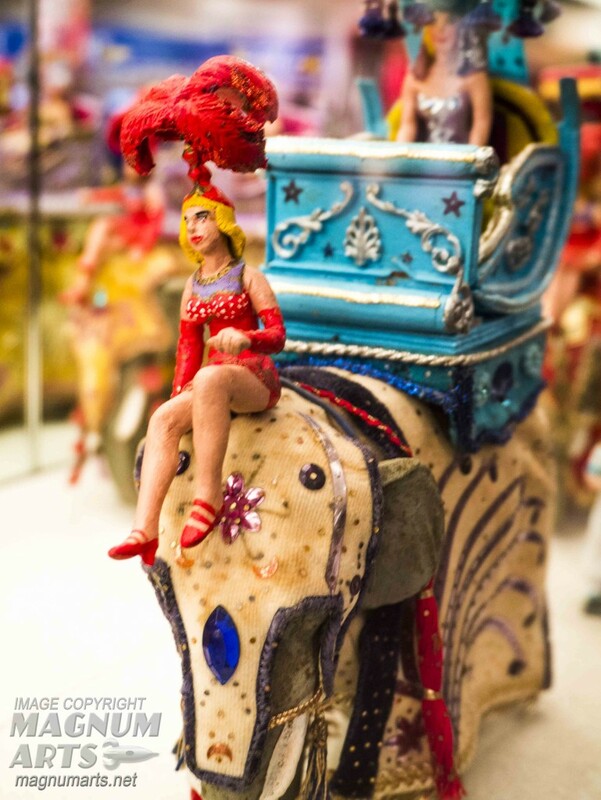 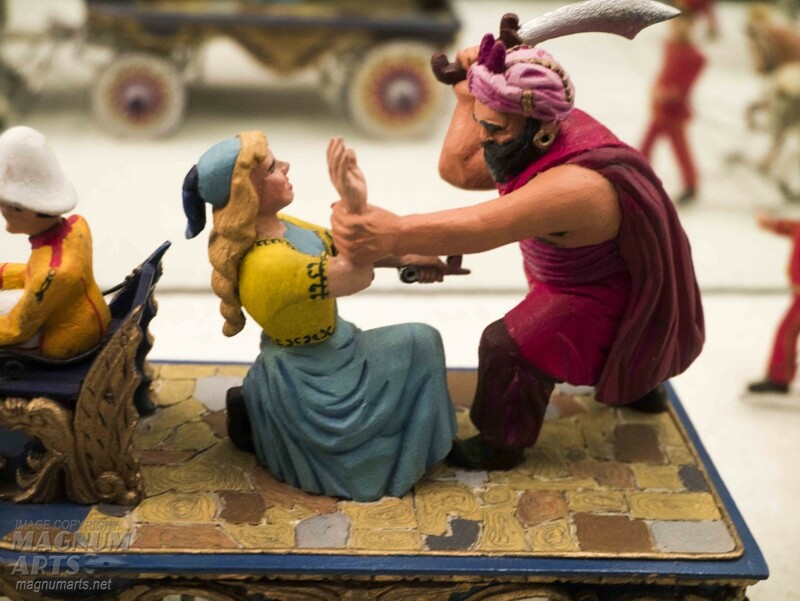 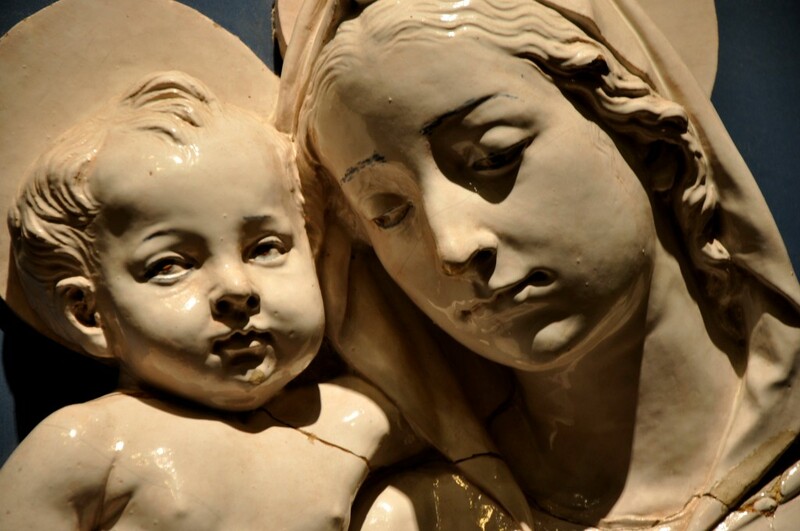 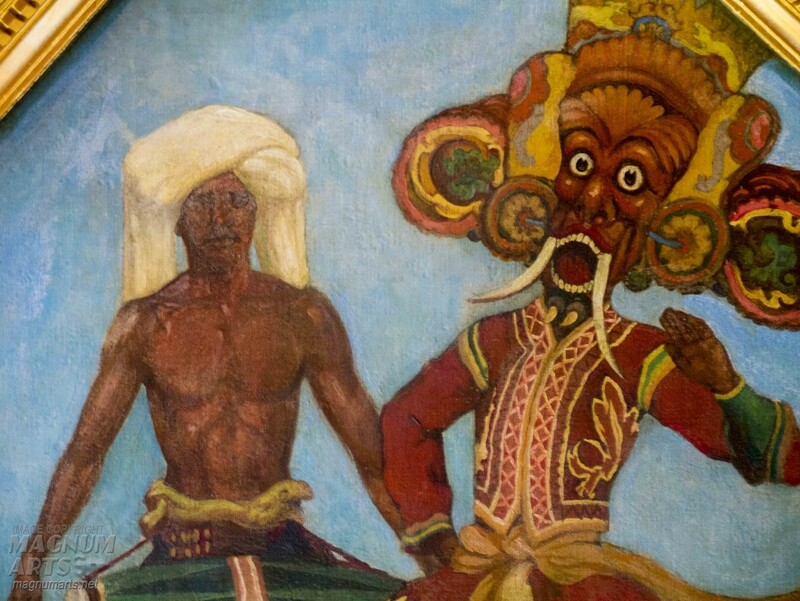 It is the highlight of a visit to the Ringling Museum. 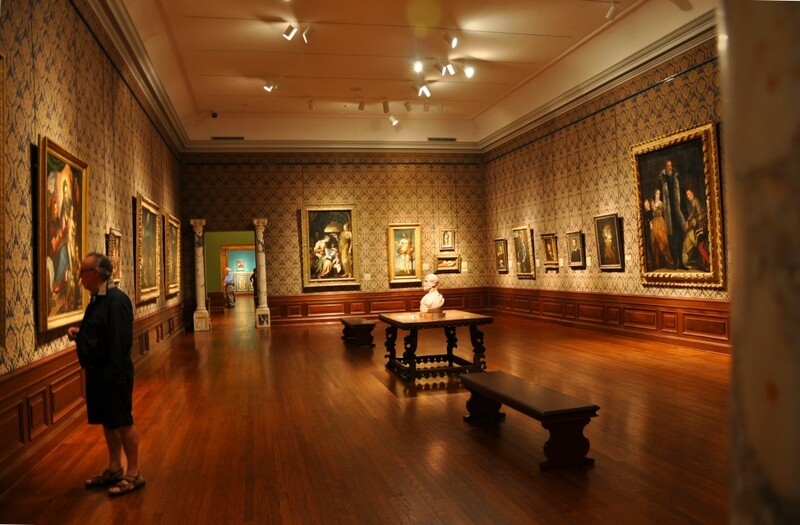 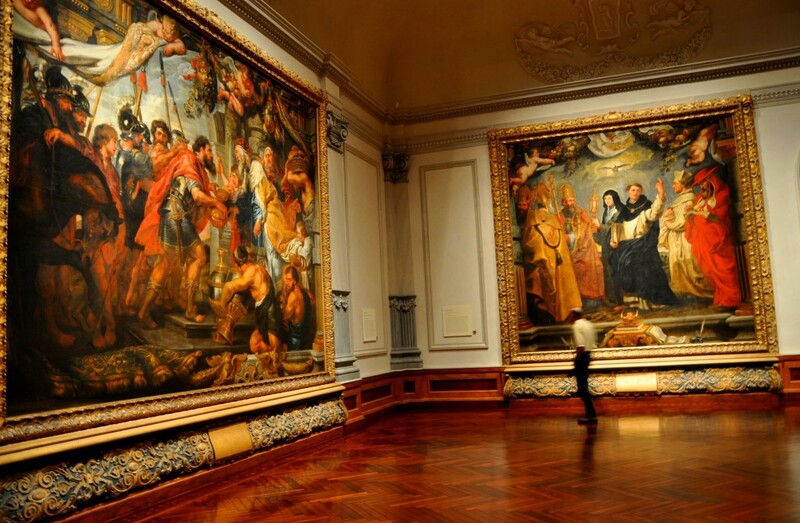 The huge galleries house priceless works of art; one could get lost in these huge areas. 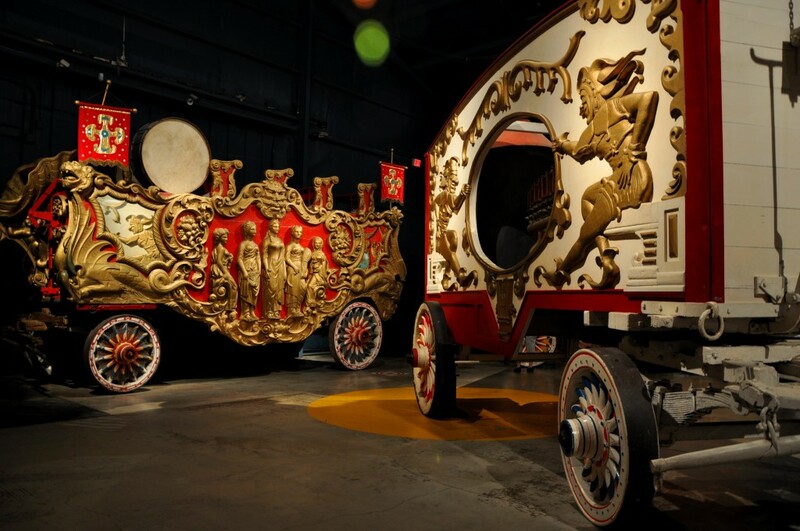 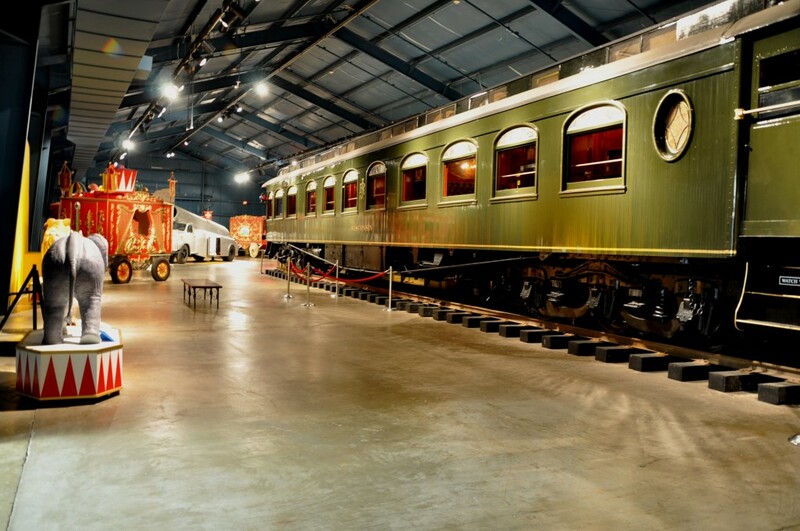 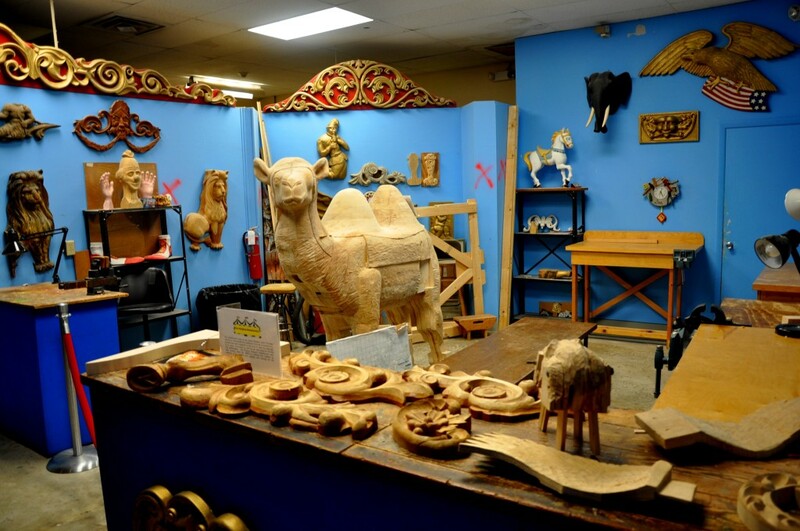 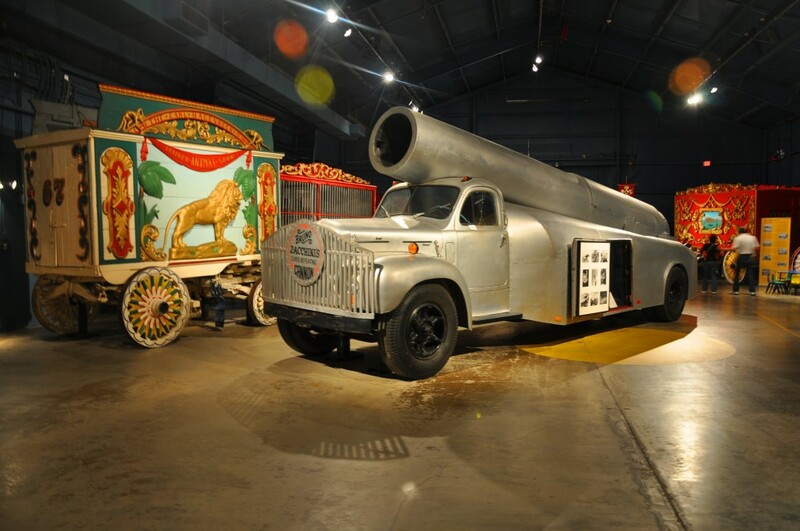 This building houses circus wagons, a workshop where wood was carved into the ornate details affixed to the wagons, and a train car used by Ringling when traveling the country. 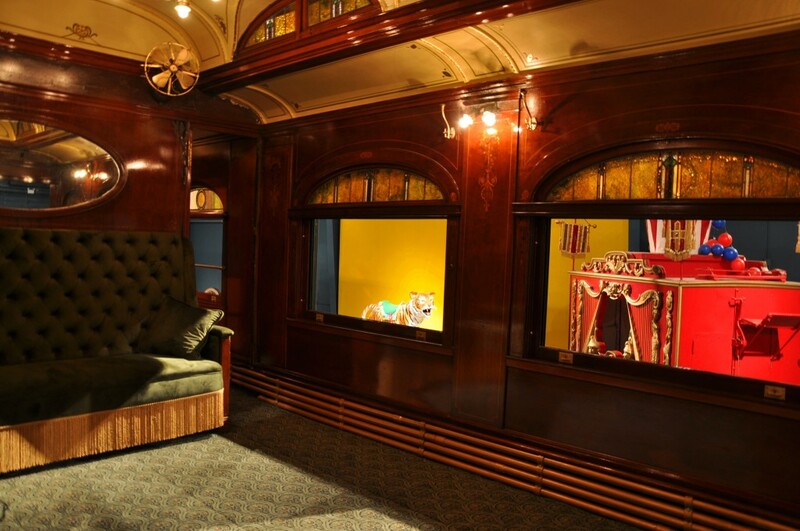 He sure knew how to ride in style!